Celebrating the love of a grandmother or mother with jewelry is not a new concept by any means. Birthstone jewelry, especially, has long been given as a way to showcase love and appreciation. We offer many different types of birthstone jewelry for grandma and mom. 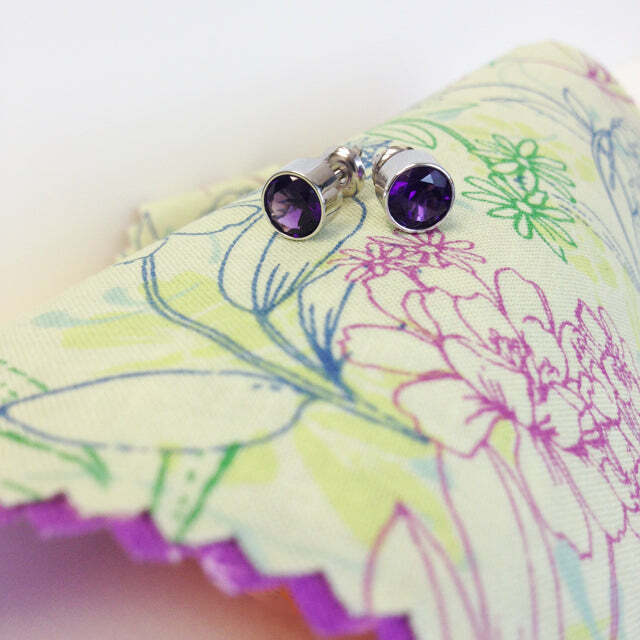 Our gemstone stud earrings are a great gift that can be given at any time. We have three different setting styles and countless gemstones to choose from. Simply select your grandmother’s or mother’s favorite gemstone in the desired carat weight and metal type. Birthstone studs can add a pop of of color to any outfit. If classic elegance is your mother’s or grandmother’s signature style, our gemstones station necklaces would be a fantastic gift idea. If you purchase two or more, she can wear them at the same time to create a unique layered look. We offer both countless combinations so that you can purchase a necklace that suits her style as well as your budget. We also happen to be giving away an aquamarine station necklace in your choice of 14 karat gold. Enter to win at Sincerely, Sabrina. Contest ends on September 8, 2013. If the most important woman in your life prefers more traditional birthstone jewelry, we also have a full collection of mother’s rings and pendants. Each birthstone that is selected represents one member of the family. These pieces are especially meaningful because by wearing the family’s birthstones, she is able to carry the love of her entire family with her always. If you would like to create a custom birthstone piece or if you have any questions about any of our birthstone jewelry, please do not hesitate to give us a call. We have a team of GIA graduate gemologists and jewelry experts that would love to assist you with making the best purchase.